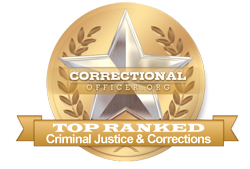 Incarcerated offenders in South Carolina's county jails as well as state and federal prisons need accredited correctional officers who value safety - for the public, fellow employees, and inmates - as well as valuing rehabilitation and self-improvement opportunities for inmates. South Carolina's Department of Justice is committed to maintaining facilities in which offenders are provided opportunities for education and betterment during their sentence. Recent data shows that the state employs 7,628 front line corrections officers throughout 24 state facilities and just over 22,000 offenders. Additionally, South Carolina has an extensive network of county jails and 5 federal penitentiaries which also require state support and communications. Some prisons, like the Goodman Correctional Institution, house women only and therefore require proportionally more female correctional officers to fill available roles. Most other prisons in the state house a general population of at a variety of security levels; federal penitentiaries house violent criminals and long-term offenders. This type of structure throughout the corrections system indicates that, as the Bureau of Labor Statistics suggests, the corrections industry is set to grow at a steady pace over the next decade. Newly created positions are expected to account for approximately 380 jobs across the state. Additional jobs will become available as senior staff members retire, switch careers, or move into senior roles. Read more information about the industry below. Schools were sorted in order of the highest percentage of total students graduating with a degree in the field of criminal justice (CIPCODES: 43.0102, 43.0110, 43.0113, 43.0103, 43.0104, 43.0107, 43.0109, 43.0111, 43.0112, 43.0199). University of South Carolina-Lancaster ranks 1st in our rankings with twenty-four students completing programs in law enforcement administration out of a total 320 students from the 2012-2013 school year. Morris College ranks 2nd in our rankings with sixteen students graduating from programs in law enforcement administration out of a total 266 students in the 2012-2013 school year. Claflin University ranks third in our latest rankings with forty students completing programs in law enforcement administration out of a total 680 graduates in the 2012-2013 school year. Voorhees College ranks 4th in our rankings with fifteen students graduating from programs in law enforcement administration out of a total 262 graduates in the 2012-2013 school year. Spartanburg Methodist College ranks fifth in our latest rankings with twenty-three students graduating from programs in law enforcement administration out of a total 404 graduates in the 2012-2013 school year. Benedict College ranks sixth in our latest rankings with 37 students completing programs in law enforcement administration out of a total 754 students in the 2012-2013 school year. Citadel Military College of South Carolina ranks seventh in our rankings with seventy-three students graduating from programs in law enforcement administration out of a total 1,736 students from the 2012-2013 school year. Charleston Southern University ranks eighth in our latest rankings with 52 students graduating from programs in criminal justice out of a total a thousand students. Orangeburg Calhoun Technical College ranks ninth in our rankings with 34 students graduating from programs in criminal justice out of a total a thousand graduates. South Carolina State University ranks tenth in our rankings with forty-two students graduating from programs in law enforcement administration out of a total 1,428 graduates in the 2012-2013 school year. Candidates who are the most qualified will be invited to enrol in the state's new officer academy training program. The program is designed to prepare candidates by teaching a variety of necessary skills for the role of corrections officer. Completion of the training phase allows candidates to graduate as certified corrections officers and seek postings within the state. South Carolina's State Department of Justice is committed to ensuring growth and development for the state's correctional officer field. The median income for this role throughout the state is $29,700, compared to the national median income level of $39,800; that is, considerably lower. According to the employment profile for the state, published by CareerInfoNet.org at http://www.careerinfonet.org/occ_rep.asp?next=occ_rep&Level=&optstatus=011000000&jobfam=33&id=1&nodeid=2&soccode=333012&menuMode=&stfips=45&x=69&y=12 state and national trends predict a 2% increase and 5% increase respectively in correctional jobs by the year 2022. In South Carolina, this translates to 220 jobs per year, in both newly created roles and existing vacancies. The table below lists career information organized by the BLS for correctional officers in South Carolina. The table is sorted by total employment, with the largest metropolitan areas listed first.